Episode 16 of the Arch. Ed. 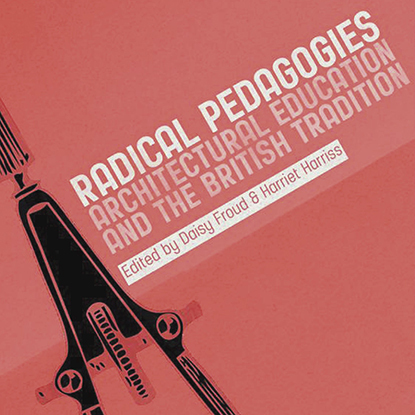 Podcast talks to Dr. Harriet Harriss and Daisy Froud, co-editors of Radical Pedagogies: Architectural Education and the British Tradition, published in May 2015 by RIBA Publishing. Featuring chapters by Mel Dodd, Sam Jacob, Alan Powers, Jack Self, Tatjana Schneider and others, Radical Pedagogies presents a debate about the future of architectural education, placing it within its unique historic tradition and raising questions as to where architecture schools should be situated, who should be teaching it and what should be included. For a limited time only, RIBA Bookshops are offering Arch. Ed. Podcast listeners an exclusive offer: 20% off Radical Pedagogies. To claim your discount, order Radical Pedagogies from RIBA Bookshops and apply your discount code RADPEDS2016 at the checkout. The voucher expires on 1 May 2016. It can be used once for a single transaction and excludes postage and packing. Full terms & conditions are available at ribabookshops.com.